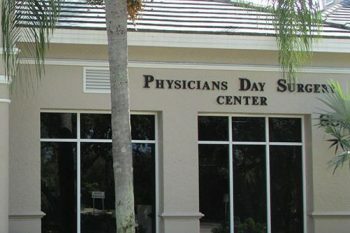 Physicians Day Surgery Center was opened in 1998 by surgeons committed to providing their patients with quality care in a friendly, personalized and supportive environment. We have had the pleasure of caring for the residents of Naples and the surrounding areas, as well as visitors from around the country and around the world. Registration is designed to be quick and easy and completing the form should take you 10-15 minutes. Please have your insurance information handy. We are committed to ensuring that our website and mobile applications are accessible to individuals with disabilities. If you need assistance using our website or mobile application, or assistance with a document on the website or application, we can help you. Please contact us by phone at 239-596-2557.